"The Isfahan rug is among the most elegant and consistently fine carpets produced in Iran. The prestigious Esfahan rug is constructed with a cotton or silk foundation and the finest Kurk wool pile. The Esfahan rug reached the height of its fame during the Safavid dynasty due to east-west trade routes that were part of the Silk Road. Patterns found on a classical Isfahan rug include spiraling vinescrolls, formal pictorials, grand medallions and lavish Shah Abbasi palmettes set over a creamy ivory, soft blue or subdued red field. Today, the city of Isfahan is a World Heritage site that produces many of the most sought-after Persian carpets. " Isfahan has long been one of the most important manufacturing centers for Persian rugs. The rugs here are usually designed using an ivory background and the ornaments are symmetrical and balanced. 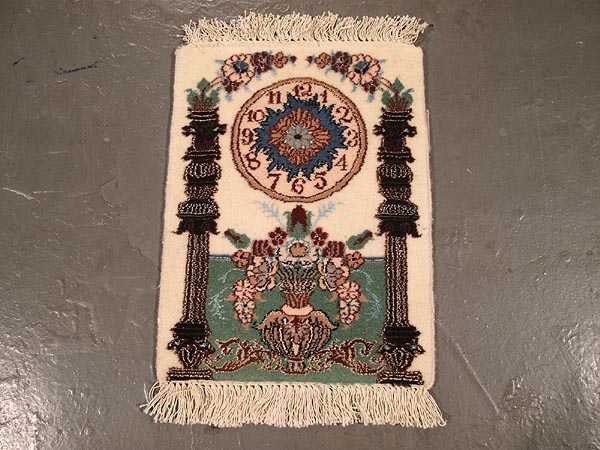 We find in the central part of the rug a medallion that is surrounded by floral motifs and palmetto leaves. The quality of these rugs is very high and the colors used for the interior motifs are blue, brown, ivory, green and more, all of them featuring an obvious naturalness.